No Bonus Casino’S name seems to speak for itself, it is an online casino that does not offer bonuses. No Bonus is licensed in Curacao, Malta, and the UK. The casino aims to enhance users experience in other ways but avoids the use of bonuses. NetEnt’s games are featured on a sleek instant play interface with a stylish and modern design. The lack of bonuses makes cashing out easy and straightforward for players. online casino that looks for ways to give players the best experience possible without the use of bonuses. 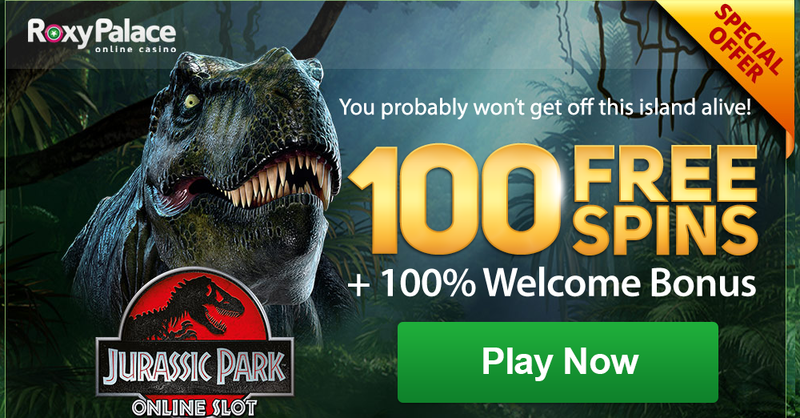 It features the full line of games from the innovative NetEnt platform and a stylish instant-play interface, as well as a straightforward cash back program. Users can expe ct to see all of their favorite slots and then some on No Bonus Casino’s colorful site. The casino features all of the world renowned favorites including Gonzo’s Quest and Starburst. Beyond slots, there are also some appealing table games offered by No Bonus, the biggest being Blackjack. The site offers over 15 versions of blackjack as well as six versions of baccarat and a handful of versions of roulette and poker. The one niche game that the casino offers is Red Dog. The site is catered to those more serious about gambling and willing to set aside their welcome bonus and just play the games. For those players looking for some exciting live action, the site provides access to two live casinos in Malta. With the help of video feeds, the live casino action is fed back to your device. asil and recently, Amatic. These are three of the leaders in the industry and never fail to provide exciting new games and features. It goes without saying that the No Bonus Casino offers no bonuses. Instead, it offers a cashback set up which means that players get cash back on their losses. For example, if you make a deposit and happen to lose it and your balance is less than €10, you will receive 10% of your losses back. This applies to every single deposit.The beauty of this offer is that there is no need to skim through any terms or conditions to see or discover what the wagering requirements are; the offer is simple and is what it is. It is important, however, to understand that you cannot claim cashback on the deposit if you withdraw winnings. 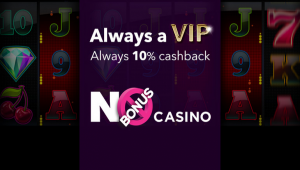 The casino promises all users a VIP experience and therefore does not offer a specific VIP offer or scheme. No bonus Casino is compatible with iOS and Android devices and can be accessed just about everywhere. The mobile casino is similar to the online site with fewer offerings. The navigation is easy, the interface remains the same and the overall mobile experience is user-friendly. Depositing money is easy, as No Bonus accepts most major credit and debit cards as well as alternative and additional options as well, including Skrill, iDeal Paysafecard. These deposits are done instantly and safely. The withdrawals are more limited in the method, and all withdrawals can take up to 24 hours to process. The minimum withdrawal amount is €50. There are no withdrawal limits which is unique and a bonus for players. No Bonus offers its users constant and real-time support through a live chat feature on the website. The site also has a phone number to call in the case of an issue or a question. The friendly customer service agents are pleasant, knowledgeable and happy to help players with questions and/or issues.